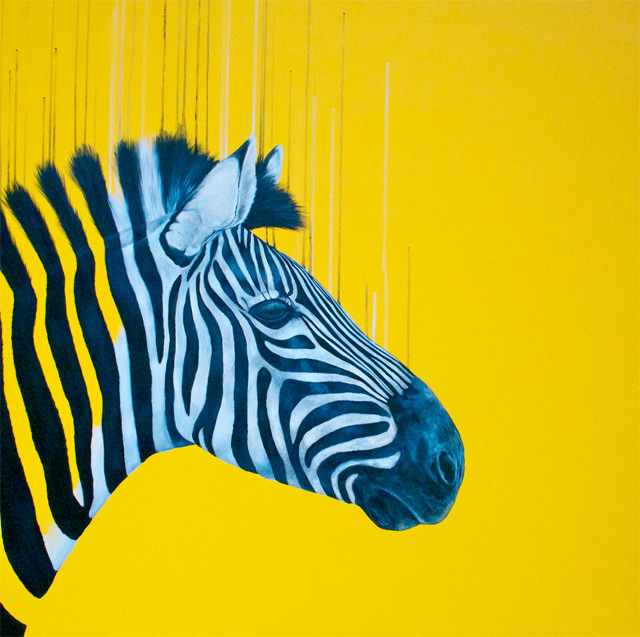 McNaught primarily uses a neon colour palette to depict the presence of nature in her work, where the animals are God-like, sublime and ethereal in their luminescence. Not wishing to limit herself or her subject matter, McNaught has a mixed-media approach which usually manifests in painted-drawings on traditional and sometimes unusual supports, such as celestial maps. [...] By drawing the viewers attention to the animals presence and energy, McNaught is hoping to share with the viewer the awe that the natural world inspires within her. Just Another Beautiful Day In Xanaland! Monkey Sculpture Made of Thousands of Flip Flops!